"I love you and I will love you until the day I die, and if there is life after that I'll love you then." 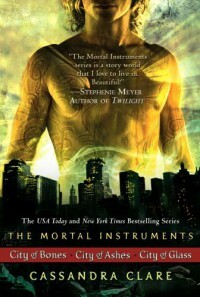 Jace is my ultimate imaginary fandom boyfriend. I have no better way to explain how I feel towards this book, than to just say it is my life. I fell in love with this series just after reading the first page. Cassandra Clare, you have a wonderful mind. Thank you for making this characters, and with such marvelous writing, helped them come to life.